Showing 342 of 342 reults. Pakistan has introduced major developments recently in the Telecom sector. The main focus of Telecom industry is to bring maximum benefits to the general users in terms of having accessibility to the modern services and better quality of services as a result of the competitive environment among the network operators. Currently, the well-known telecommunication operators that are running across Pakistan are Jazz, Telenor, Ufone, and Zong. There are a lot of great packages offered by Zong, Jazz, Telenor, and Ufone for the daily communication needs across the country as well as the world. The daily packages offered by Ufone are Ufone Daily Pakistan offer call package, Ufone Daily SMS package, and Ufone Daily Light & Daily Heavy bucket internet package. Some of the best daily packages offered by Zong are Zong Full Gup Package & Zong Perfect Package call packages, Zong Prepaid Daily SMS + WhatsApp Package & Zong Daily Zulu SMS Package and Zong Daily Basic & Premium Basic Internet packages. Telenor djuice Prime Time Offer & Telenor Din Bhar Offer call packages, Daily SMS Bundle, and 4G Daily Bundle 4G &Daily Lite Bundle internet packages are some of most commonly used bundles. Jazz offers Jazz Day Bundles & Jazz Super Package call packages, Daily SMS Plus Package & Daily SMS Nominal Package and Daily Brower & Daily Social internet packages. Pakistan is now the third telecommunication market that happens to be growing very fast. Telecom organizations of Pakistan are fast improving with the foreign and domestic mobile and fixed-line networks investment. 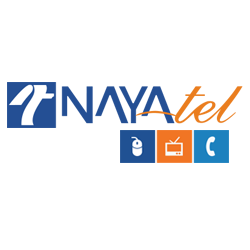 Telecom companies offer internet and telephonic services throughout Pakistan. These companies are the backbone for the telecommunication industry offering many calls, SMS and internet packages for a whole week. Weekly packages offered by Ufone are Weekly Pakistan offer & Power Pack offer call packages, Ufone Weekly SMS Package, and Super Internet package & Weekly Heavy Bucket internet packages. Zong brings Shandaar Haftawaar offer & Weekly Unlimited offer, Weekly SMS Package, and Monthly Mini 150 & Monthly Premium 3GB internet packages based on the users’ needs and demands. Similarly, Telenor offers Telenor Haftawar Chappar Phaar Package & Telenor Easy Card Weekly Package call packages, Weekly SMS Bundle & All in One Offer and Weekly Plus Bundle & 4G Weekly Bundle internet packages. Packages offered by Jazz on weekly basis are Weekly Super Duper Offer & Jazz All Network Package call packages, Weekly SMS Package & Jazz Haftawar Offer and Jazz Weekly Browser Package & Jazz Weekly Streamer internet packages. The growing telecom statistics, investment and access opportunities in the world, modern applications and the broadband developments are in line with the continuously changing orientation of the telecom industry of Pakistan. Pakistani mobile operators are offering digital initiatives and providing the best ecosystem in the country. The number of internet users and mobile phones is drastically increasing. The monthly packages offered by Ufone are Ufone Super Card offer & Ufone Super Card Plus offer that contain all the incentives of calls, SMS and internet and are used by the majority of its subscribers on monthly basis. Zong provides different monthly packages like Zong Shandaar Monthly Package & Zong Supreme Package, Zong Prepaid Monthly SMS + WhatsApp Package and Monthly Mini 150 & Monthly Premium 3GB internet packages. On the other hand, Telenor doesn’t lag behind as well when it comes to amazing monthly packages like Telenor EasyCard, Telenor EasyCard Plus Package is and Mahana Rakhwala Offer. Monthly Data Offer, 4G Monthly Plus Bundle and 4G Monthly Bundle are some of the internet packages offered by Telenor. Packages offered by Jazz on monthly basis are Jazz Supreme Hybrid Package, Jazz Super Duper Monthly Package and Jazz Monthly Hybrid Bundle are mostly used for calls and other incentives. Monthly Steamer, Monthly Premium, and Monthly Supreme are most used internet packages. With global subscriber base that is to reach 5 billion, the mobile ecosystem has begun creating a global digital platform that is increasingly connecting everyone and everything all over the world. In 2016, mobile technologies and services generated about 4.4 percentage of overall global GDP that is equivalent to around $3.3 trillion of economic value. With the rise in mobile internet subscriptions, mobile operating companies in Pakistan are continuously improving their system of connecting people all across the country as well as the world. That is resulting in benefits for both the users and the mobile operators. Apart from daily, weekly and monthly packages, telecom companies are offering many other special offers for their subscribers. The other packages offered by Ufone are Ufone Mini Super Card offer for 15 days, Fortnightly SMS Package offering the customers to have the 10,000 SMS with the validity of 14 days, Ufone 3-Day and Social Daily as well which are among the most loved internet offers. Zong also offers some amazing packages like Zong Combo Pack, Gold Package, Power Pack Sim Offer Power Pack Sim Offer are used for calls and other incentives. Zong Good Night Offer & WhatsApp Daily Bundle internet packages are used widely as well. The other packages offered by Telenor are 3 Days Call Packages, Telenor 3 Day SMS Packages and 15 Day Economy SMS Bundle. Telenor 3-Day Internet Packages and Telenor Social Internet Package have mostly used internet bundles. Jazz Lifetime Call Packages, Jazz 3-Days Internet Packages and Jazz 2G, 3G and 4G Internet Packages for postpaid users are some of the amazing offers by Jazz. Life is fun with all these incredible offers because they give you a reason to remain connected with friends and others without any hassle.